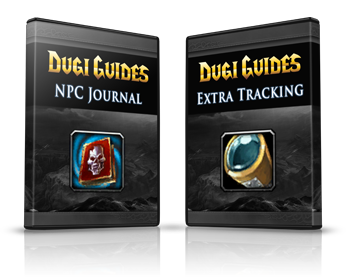 NPC Journal and Extra Tracking are additional modules designed to work with the original guides. It is only available for purchase inside the members area for owners of Dugi In-Game Guides. The extra tracking feature will provide additional World Map tracking for Achievements, Rare Creatures and Battle Pets. Now you can complete your achievements as you quest and hunt for those rare creatures for extra experience and loot. 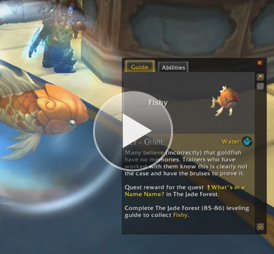 The Battle Pet tracking will make leveling your pets and hunting easier than ever before. Complete Achievements as you quest or travel. Hunt Rare NPCs for bonus XP and loot. Find pet spawn location for each zone.